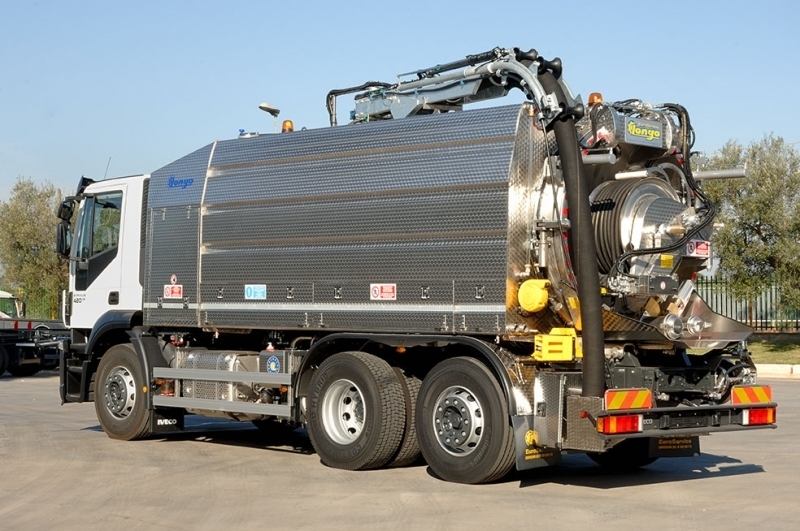 Longo super-combined equipment is designed and manufactured in order to ensure the best possible methods of mud and dust suction and transport, of drains and sewers unclogging, of flow-back and wastewater transfer. 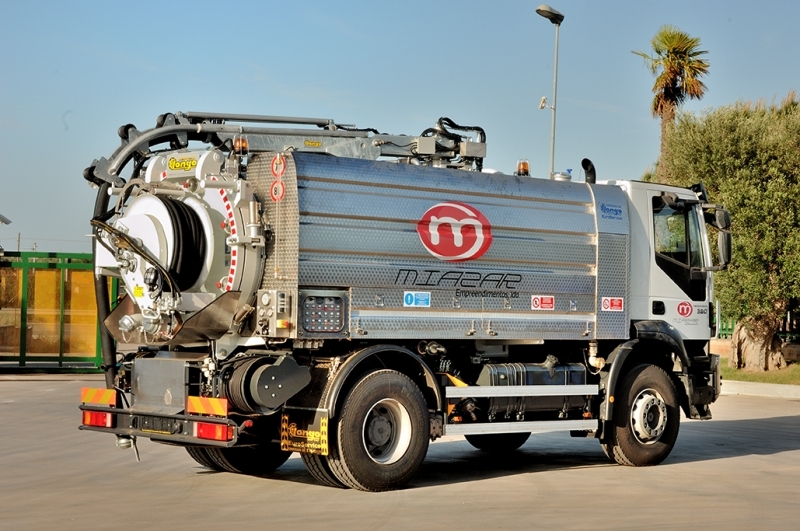 The equipment is notable for its extreme maneuverability in smaller urban centers, easy to use for unclogging, removal of muddy materials and fire extinguishing operations. 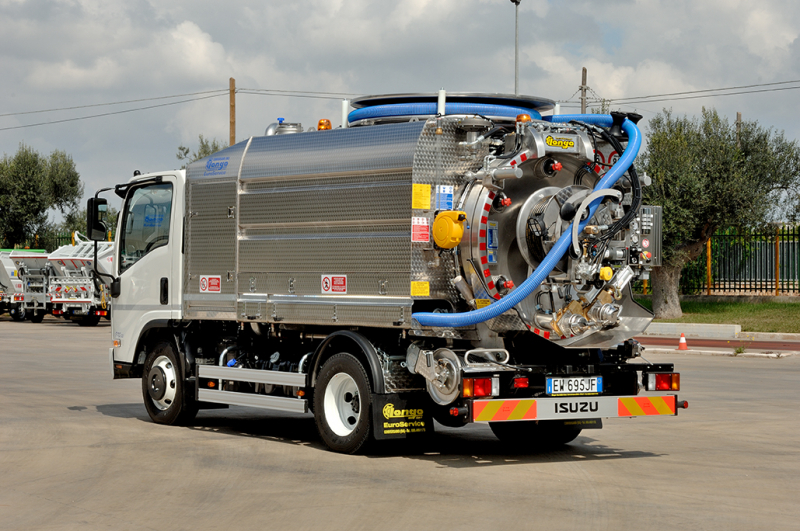 Medium Vehicle 7,5 T. and Light 3,5 T.
The equipment “MINI-Combined” LONGO are designed and manufactured to ensure the best work of suction and transport of mud and dust of stasis channels and transfer of sewage and wastewater. LONGO technology, applied to small size, has given rise to the range of “Minicombinate. 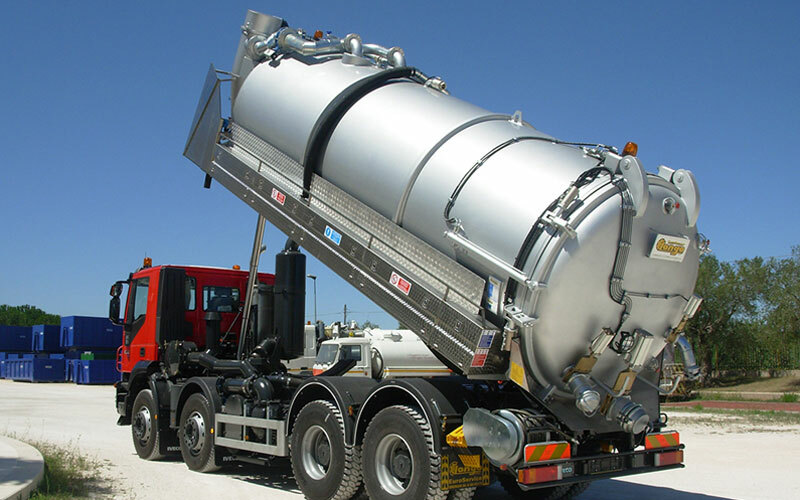 The equipment is characterized by extreme manoeuvrability in urban centres for the various needs of Declogging, removal of mud and fire fighting equipment. Stainless steel tank “Fiorettato” various capacity, tilting. Clean water on side containers in stainless steel “fiorettato”. Vacuum Pump ecological or vane, various capacity. High-pressure water pump, barrel pump, disinfection pump and accessories.